Anna Day and Ellie Jauncey are not your average florists. Friends first and business partners later, they formed The Flower Appreciation Society when they realised they shared a love of all things floral and a frustration with the formal arrangements preferred by many traditional florists. The bouquets and accessories they create in their London studio are relaxed, natural and breathtakingly beautiful - and packed full of seasonal blooms from local markets. 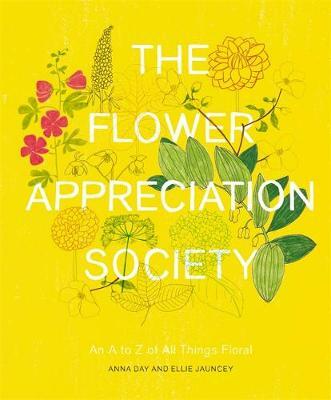 In this, their first book, they will take readers on incredible, meandering journey through an A to Z of blooms - from Anemones to Zinnias and everything in between. If you're a bride-to-be doing your own wedding flowers or have ever wondered why your tulips just won't stand up straight, The Flower Appreciation Society has all the tips, tricks and wonderfully creative ideas you could ask for.